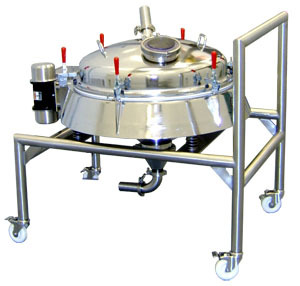 The IEDCO In-Line Vacuum Sifter is designed to be directly connected into a pneumatic conveying line and capable of screening using a wide range of mesh sizes. Its sanitary construction is ideal for use within the high-quality food, chemical and pharmaceutical powder processes, and perfect for scalping lumps and unwanted contaminates from the product stream. Operating and cleaning is quick and easy, making this sifter perfect for all processing industries. A wide range of sizes and options means the machine can be tailored to suit your exact needs.